Looking for like a... pedal "mat"; ideas? IDK if any of you have any recommendations that I can buy or may have or just some kinda DIY ideas but I'm trying to basically just get my pedals off the carpet. I don't use this stuff to travel around so it'd be relatively permanent; but I don't know what to call it or search the internet for... like a "pedal mat" to just put my petals on and get it looking nicer than a bunch of junk on the carpet. 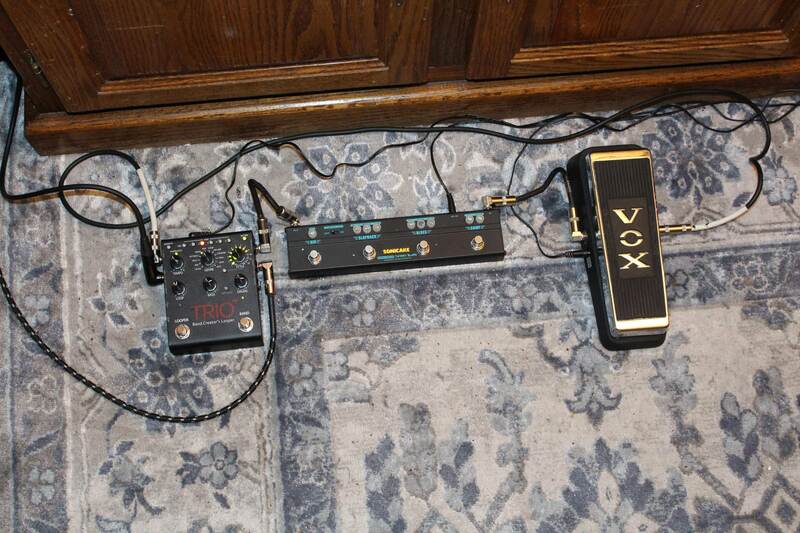 Not quite a pedal board as I have... 3 pedals. If you have any ideas I'd love to hear em. Re: Looking for like a... pedal "mat"; ideas? I have a cheap Donner pedal board that I use for my pedals, came with a little duffle bag as well. The pedals are velcro'd on so that they can be moved around on the board, but will stay in place when you want them to.